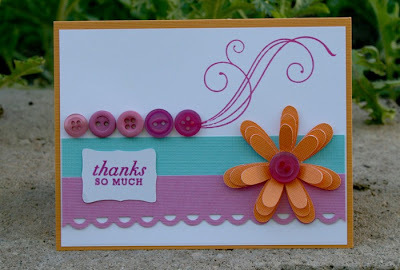 So excited to share another color combo this week...because I had some other participants. My kiddies made cards this week too!! 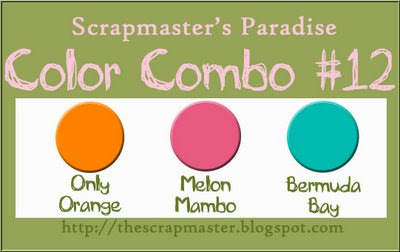 I told my kids to hit their craft shelf and grab anything that contains these three colors. I helped them find paper and they pulled out the Kids Cuttlebug and all their kids dies. But first...here is my card! I did that layered flower on another project this week and liked it so much, I did it again!! 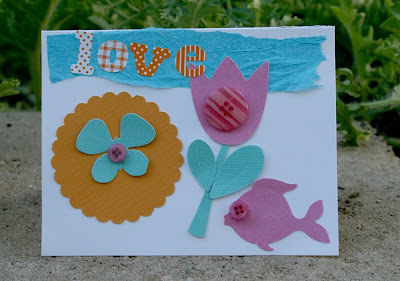 Now here is my daughter's card, she is 5 and loves to craft with me. She cut out all the shapes with her cuttlebug, added the tissue paper and found the matching orange letters!! Here is my son's card, he is 7. He even decorated the inside!! Such fun we had this week. Thanks SPCC for the great color challenge, my kids are already asking me when the next challenge is!!! Thanks for stopping by! Fun -- love the swirls popping out of the buttons! And your daughter's card and son's cards are awesome! OMG these are absolutely adorable. I can't choose which one I like the best. Your kids work rocks! All of the cards are wonderful! You have some talented papercrafters. Love, love, love these cute cards! So adorable! Great job with the colors! Their cards are just adorable. Tell them great job. These cards are great! My 4 year old son loves to make cards with me too. Great work. Mara LOVE all the cards!! Great job to the kiddos!! Loving all the great cards! The kids definately got your creativity gene. Thanks for joining us at SPCC this week! I so love that the kids craft with you. I think Kevin's dino card might be the cutest thing ever!! Way to pass on the addiction!!! Hi, Mara! 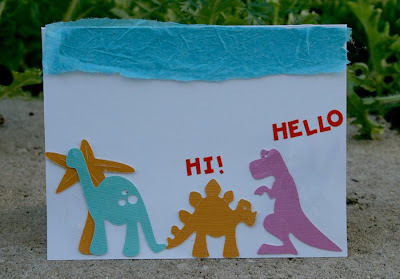 I'm loving your blog, your work AND your kid's work! DARLING STUFF! Thanks for the fun inspiration and AGAIN for last week's Friday challenge! Great card from you, but the children did a great job!! I love crafting with my boys. 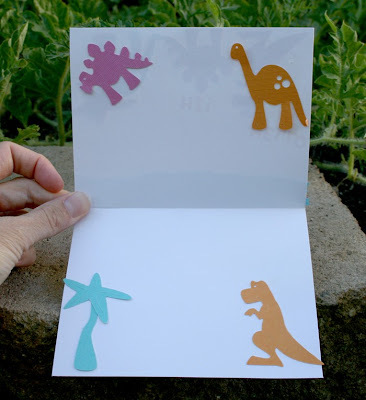 They have tthe kids cuttlebug too, and every time they make cards, they decorate the inside too! You've got some competition there Mara...I think I might like Kayla's the best. But I'm a sucker for that flourish, and then again, who doesn't love a friendly dino....they are all great. What fun! I absolutely love your card! The flower is awesome! The flourish coming out of the buttons is wonderful! Mara, OMG those have to be the cutest cards ever made! Seriously, you should frame them and hang them on the wall. Just lovely.